Within the workplace, safety is paramount. Safety should be a top priority at all times, but it is especially important when you are undertaking tasks that require you to work at height or in potentially dangerous situations. In the construction and warehousing industries, working at height is all part and parcel of the job. However, just because these situations are a key component of everyday life, this doesn’t mean that you should get lackadaisical about safety. The correct IPAF training, Newcastle based or beyond, is as essential for experienced workers as it is for those new to the profession. Proper training enables workers to ensure their safety and security at all times. Following official safety procedures and keeping to rules and regulations is absolutely essential. Not only does safety benefit the individual, it also helps to keep colleagues and other people in the area safe as well. Therefore, not following the correct safety guidelines could have serious implications for others, not just for you. Aside from ensuring each member of your workforce has the proper IPAF training, what else can you do to ensure your employees stay as safe as possible in the workplace? Education and knowledge are the keys to safety. 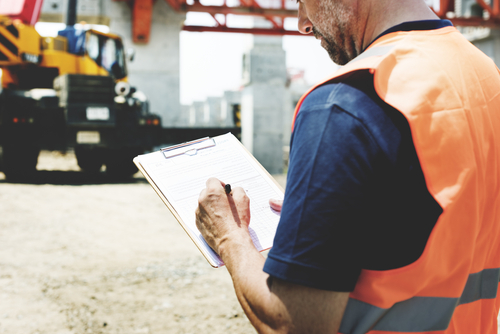 Make sure that each employee knows about the safety methods you have put in place, and certify that they understand why safety is so important. After all, if they don’t fully understand how dangerous certain tasks can be if not completed while following the official safety guidelines, they are much less likely to take safety seriously. Ensuring that your employees are all kitted out with the necessary equipment is another essential safety requirement. Depending on the specific job at hand, this could mean high-vis jackets, safety gloves, steel toe-cap footwear, safety goggles or hard hats. Make sure that your workforce is wearing their personal protective equipment at all times while in and around the workplace to minimise the risk of accidents and injury. Similarly, if your employees rely on any machinery or equipment to complete their daily tasks, it is your responsibility to ensure this machinery is properly maintained. Whether this is equipment for working at height such as platforms or scissor lifts, or MHEs like pump trucks or LLOPs, it all needs to be regularly checked for any issues. For more information about IPAF training in Newcastle or Tyne and Wear, please contact a member of our team today.